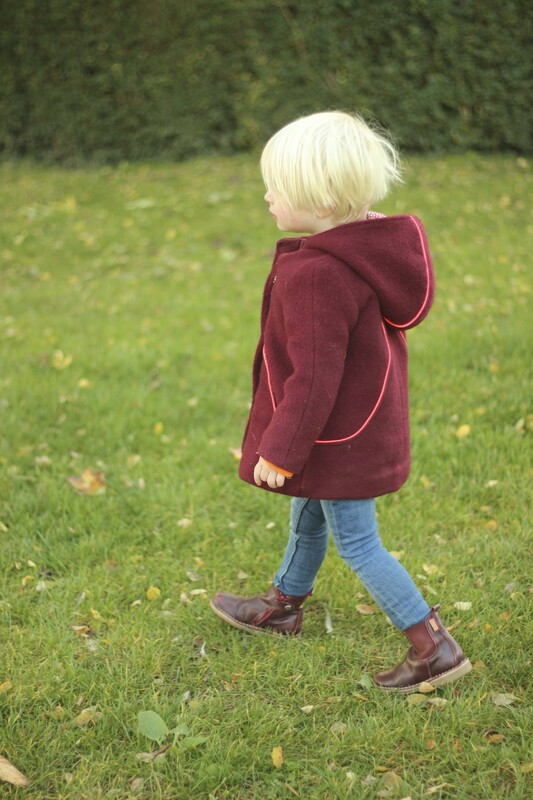 Welcome again for a new Louisa coat overview! Barbara was the tester that finished her coat first. That’s always a special moment. When a first person gives you feedback on your pattern. Goosebumps. I loved the result so much and I still do. Barbara used some of my stash fabrics and even some of my buttons. So this could have been a true Compaginie M. coat. Don’t you love the result? I do! More pictures at Barbara’s blog. Sara was also present on the photoshoot. For me it was a new experience to photograph so many small kids on one day. 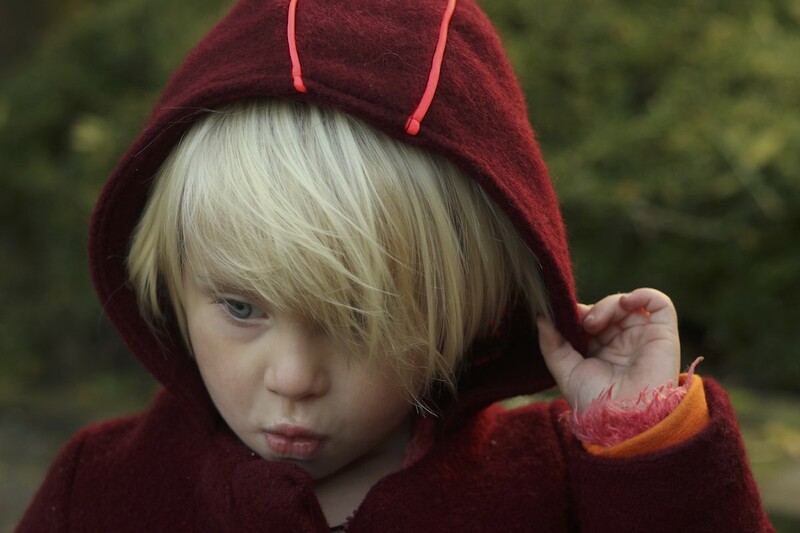 But I have to admit: this cute little girl is a natural born model. She was smiling, stood still (from time to time) and for such a small girl, listened really well to me. I love taking pictures from small kids as you can kind of walk around them and take pictures from different angles. Ok, you do have sit down and jump up too! That’s probably why the day after the shoot my muscles were hurting me. Make sure to check Sara’s blog for more pictures. And last but not least I can introduce Femke. She’s guest posting here today! Make sure to follow her Instagram account! 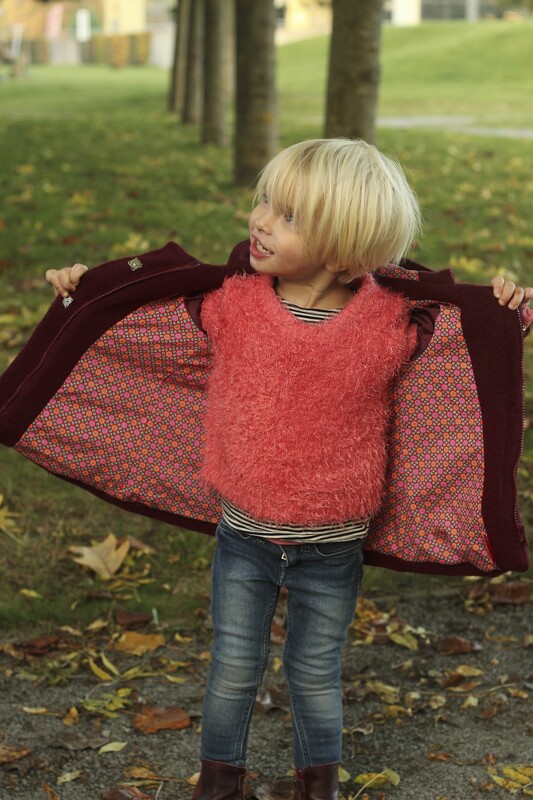 As a big fan of the Compagnie M sewing patterns, I was thrilled to be selected for the blogtour of the fantastic Louisa coat! Not owning a blog of my own, Marte was so kind to lend me hers for one day. What an honour, thank you M! 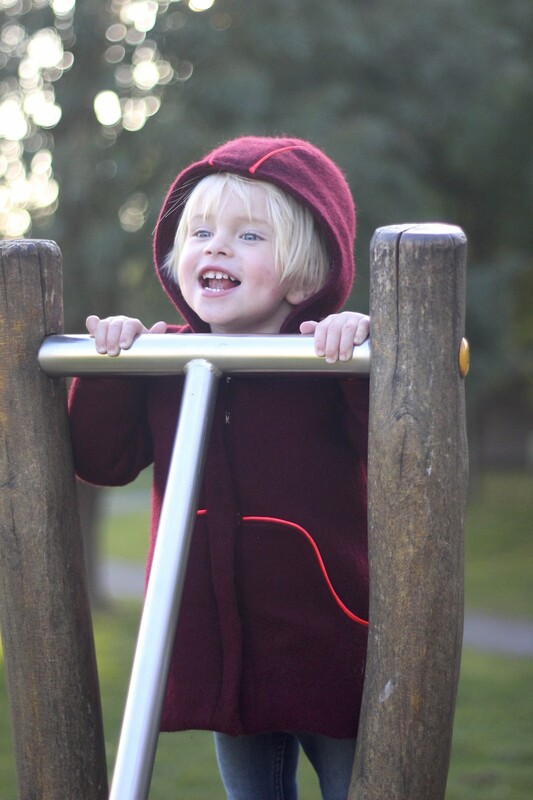 As my playful 2 yr-old just loves her Louisa dresses, I knew immediately that a coat version would be an instant hit over here. I especially adore the wonderful lines in this pattern, on both front as back. As I always try to recycle as many clothes as I can, I immediately knew that I wanted to use the wonderful coat that I inherited from my husbands grandmother. It was a real puzzle to dissect the coat in a way that I could get all the pattern pieces out of it. But I succeeded! I even managed to re-use the stabilised parts in all the right places, which saved me the time and effort to cut out and iron on those separately. 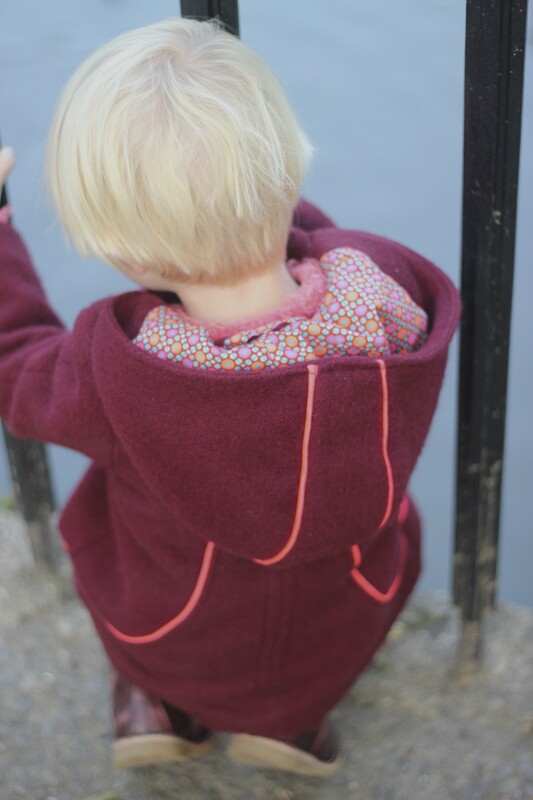 I chose to sew the version with zipper and hood, as this is the most convenient for a young toddler in my opinion. The outer fabric is a wonderful burgundy wool of the finest quality, but I wanted to lighten this a bit up. These autumn days are getting dark enough on their own! I choose to combine the fabric with a bright Neon piping. Even the lining, a wonderful soft cotton from Petit Pan, has these neon accents. A match made in heaven! 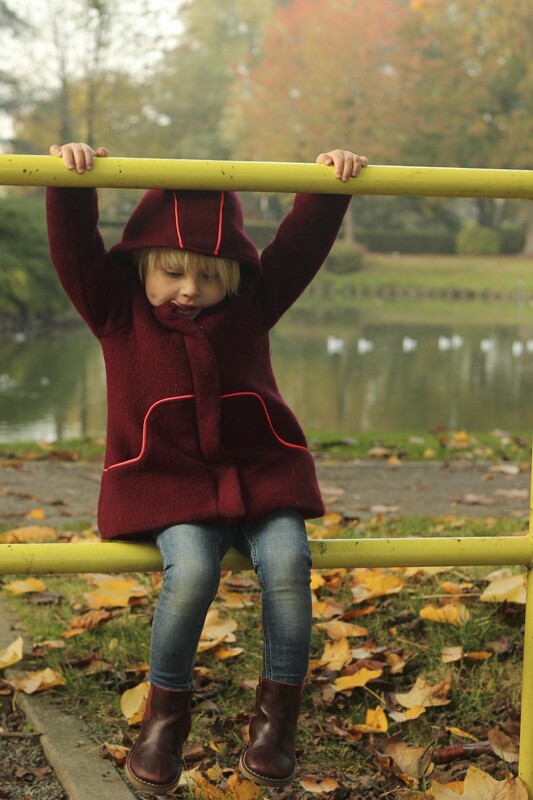 My daughter is over the moon with her new coat, and that is what matters the most. And for me? 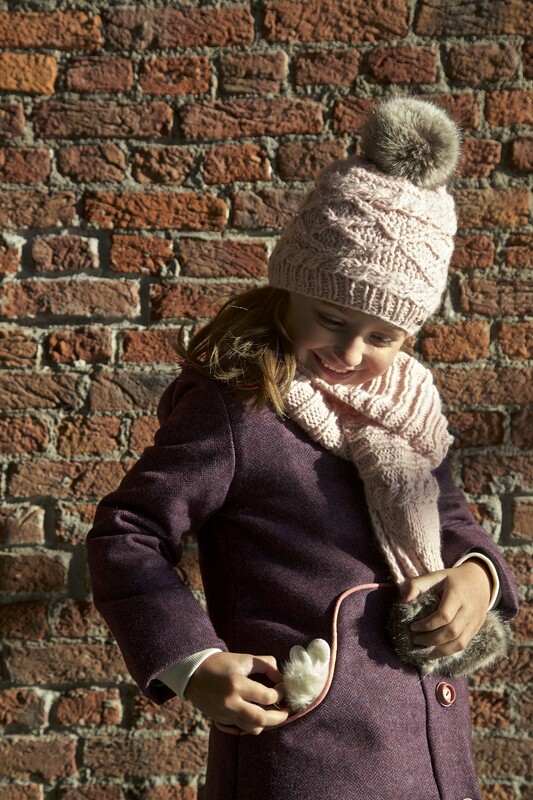 I can’t seem to take my eyes off of my beautiful daughter in her stunning coat. Never before I was more satisfied with a sewing project. On to the next Louisa coat! Prachtig! Alle drie, tuk voor stuk! Prachtige jas! Jammer genoeg is het patroon te klein voor mijn 2 tieners van 13 en 14 jaar. Komt er ook een versie voor tieners/dames 😀 ? Mooi! 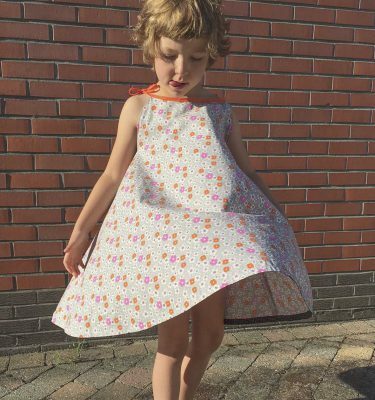 Hier ook benieuwd of er een variant voor grotere meisjes komt…Ik zou zo’n jas voor mezelf ook wel zien zitten!